I love a good diner. 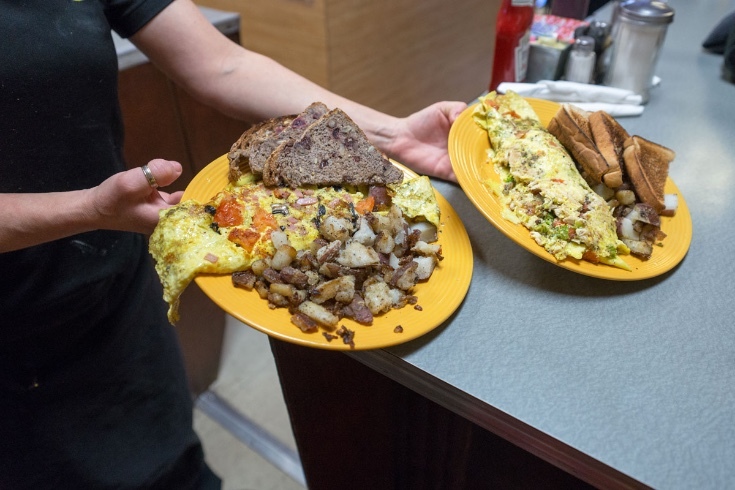 You know the kind…locally owned, breakfast all day, counter seating, a menu selection from pancakes to crab cakes. A big part of my travel adventures is sniffing out great eateries. It’s not always about how good the flavor of the food is but how interesting the flavor of the establishment is. Of course, tasty food is a plus. You would think finding these little gems would be an easy thing to do. Just show up to an area and ask around where the good restaurants are. But the yardstick that is used to measure what is good by most is rarely the same as mine. I’ll give you an example. We were on a beach vacation once and we wanted to find a restaurant that served really fresh and yummy seafood. We asked a local, thinking we would get access to some secret insider information, a place that only they knew about. She thought for a moment and then answered, “Joe’s Crab Shack.” Oy. Really? I will never understand the appeal of a large chain restaurant that is most likely owned by an even larger multinational corporation. Their entire business model is to serve you unexceptional food, interact with you very little and turn your table over as quickly as possible. It’s like dining on a conveyer belt. I want a restaurant where the food is made from scratch, where the owners are working in the kitchen or greeting the guests, and the only thing publicly traded is good conversation. Recently, I found myself in Connecticut eating at just such a place. I was visiting my son at the US Naval Submarine Base in Groton. Never having been there, or Connecticut, or even New England for that matter, I didn’t have any actual knowledge of restaurants in the area. Another parent recommended this place in New London, called “The Yolk Café”. So we plugged it in to our GPS and drove along the Thames River in search of our next culinary adventure. The drive took us through charming neighborhoods filled with historic homes, everything from colonial to Victorian. When we got to the seaport town of New London we were met with a coastline trimmed with fishing boats, old light houses and quaint shops. l area and there is nothing remarkable about it from the outside. We parked along the street and were met by a giant St. Bernard on the patio. This lovable guy turned out to be owner’s dog and designated door greeter. We opened the doors to what turned out to be one of the funkiest little cafés I’d ever been to (and I used to live in Austin, Texas!) It’s quite small with maybe 3-4 booths along the wall and counter seating around the…er…shall we call it the kitchen? The walls are covered in patron graffiti and the owner’s homemade art is showcased here and there. 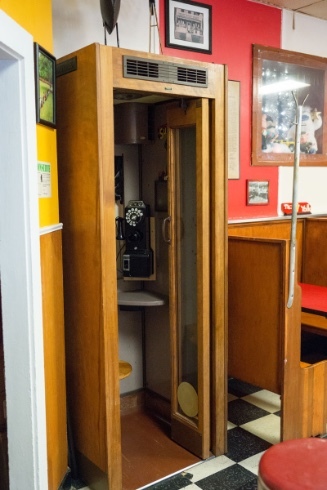 Mismatched plates and cups are stacked on shelves and a genuine telephone booth with a working phone is in the corner. A very friendly waitress greeted us and we unloaded at the counter. Here comes the tricky part. I have to eat gluten free. I never know what kind of response I am going to get when I make that announcement. I’ve heard everything from “No worries, we don’t serve meat here” to “That means no fried food, right?” Then, as if she popped out from under the counter, the owner appeared. Her name was Doreen and she began instructing the waitress to bring out all of her choices of locally homemade gluten free bread to sample. I couldn’t believe it. We tasted a variety of delicious and unique flavors until we finally made our decision. I didn’t know gluten free could taste so good. While we were waiting for our meals we watched Doreen interact with her patrons, calling each by name, playing pranks and practical jokes on them. She had a marshmallow shooting pistol, water gun and funny hat. No one was immune to her gags. I watched her serve giant plates of breakfast, each time stopping by me to show off her masterpieces. She seemed to be interested in only 2 things, serving fabulous meals and interacting with her customers. When our food came I was served the most delicious corned beef hash/egg/potatoes I've ever eaten. It was enormous and messy and probably a week's worth of calories but it was WONDERFUL. I'm pretty sure I didn't share any with my family. When it was time to leave it was hugs all around. We felt like we were leaving family but promised to return. 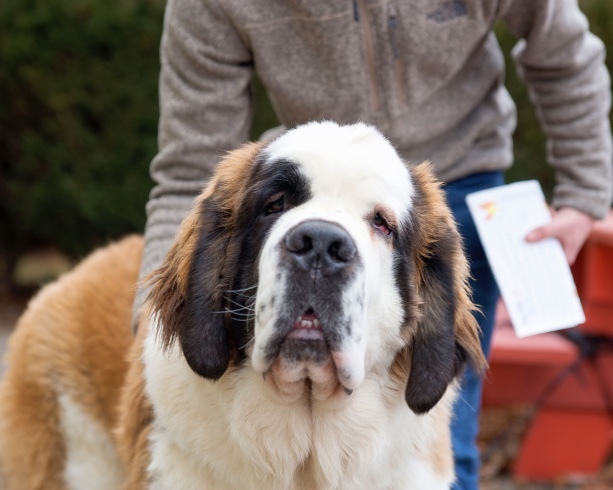 Then we walked out the door and said our goodbyes to the St. Bernard. 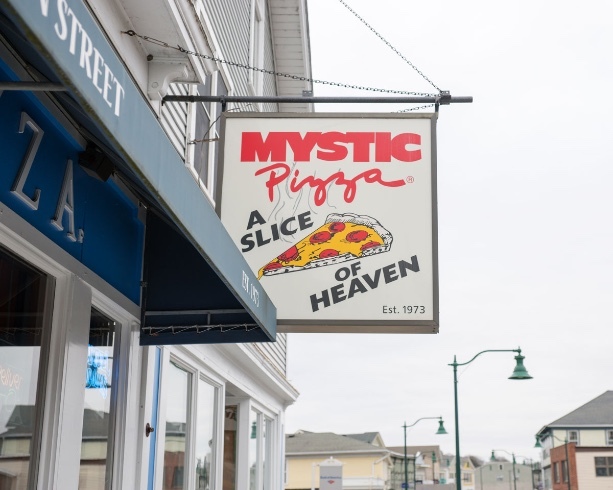 Later when we were visiting the tourist attractions of Mystic, CT (yes, Mystic Pizza) I met a book store employee who knew Doreen. He told me when her elderly neighbor across the street from the restaurant went into the hospital she shoveled the snow from his driveway and brought him food. That didn’t surprise me a bit. I think the world needs a few more Doreens. 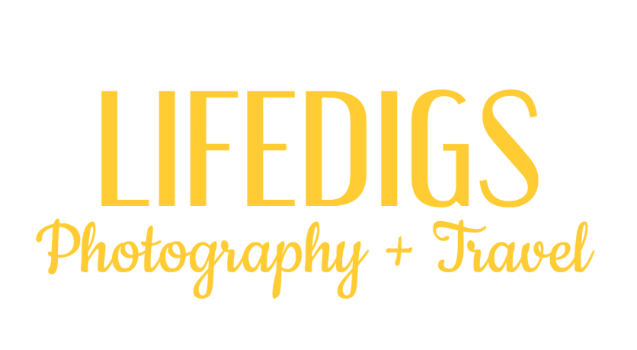 When I found out my son was scheduled to graduate from the first segment of his Navy submarine training in Connecticut I began planning my trip. Never having been to New England it took a bit of research to find the best way to get there. Once again, Southwest Airlines proved to have the most affordable options with a direct flight to Boston for only $59 each way. From there it’s an easy 2 hour drive over to Connecticut. If you want to fly in closer, the airport in Providence, RI is less than an hour from the Navy base but there are no direct flights from Dallas. Groton, CT is a small town located between the Thames River and Mystic River just east of the end of Long Island. It’s home to the very awesome US Naval Submarine base and General Dynamics who make the subs.